Cyprus is the third largest island in the Mediterranean after Sicily and Sardinia. Cyprus is one of the favourite tourist destinations due to it being a breathtaking and tranquil country. 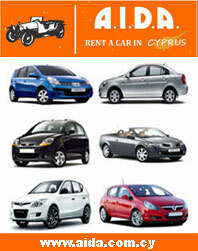 Allow Cyprus Car Rentals become the starting place in locating the must see sites in Cyprus.